Switzerland says it will introduce legislation which will force refugees to hand over cash and valuables to the authorities to help pay for their upkeep. The move by the Swiss follows a similar plan implemented by Denmark. 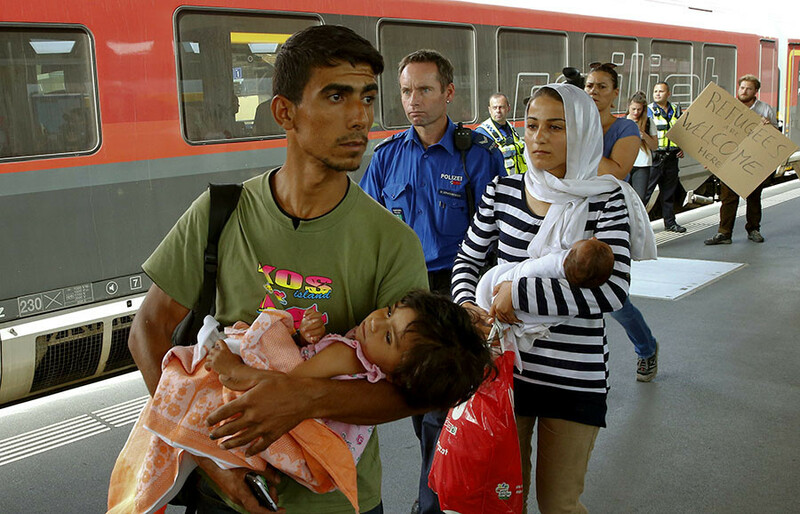 Refugees arriving in the Alpine nation will have to turn over any assets they possess which are worth more than 1,000 Swiss francs ($997). "If you have property worth more than 1,000 Swiss francs when you arrive at a reception center you are required to give up these financial assets in return for a receipt,” an information sheet for refugees states, as cited by Reuters. The state migration service SEM justified the move to the Swiss broadcaster SRF, saying the new law will make sure that asylum seekers and refugees will contribute to their upkeep, where possible. 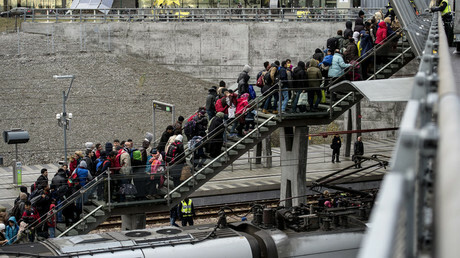 The policy also indicates that refugees who gain the right to stay and work in Switzerland will have to pay 10 percent of their wages for a period of up to 10 years, so that they manage to pay off 15,000 francs in costs, the report states. On Tuesday, Danish lawmakers passed a bill that would allow the authorities to seize cash and jewelry belonging to refugees, in return for living in asylum centers. “We want to limit the inflow,” Prime Minister Lars Loekke Rasmussen, whose right-wing Venstre party is behind the plan, told reporters on Tuesday. He went on to call it "the most misunderstood bill in Denmark's history." Proposed in late 2015, the bill would allow Danish authorities to strip migrants of cash and any individual items whose combined value exceeds 10,000 kroner (€1,340, $1,450). Lawmakers raised the limit to $1,450 since its last consideration in mid-December, bringing it in line with an existing law which requires Danes to sell all of their valuables in order to apply for unemployment benefits. However, the refugee-stripping bill has been amended to exempt engagement rings, family portraits, and badges of honor. “The government, the Social Democrats, the Danish People’s Party, the Liberal Alliance and the Conservative People’s Party have agreed to amend the bill concerning valuables,” a government statement said, according to The Local Denmark news portal. The UN High Commissioner for Refugees (UNHCR) has condemned Denmark for tightening its immigration rules, saying it “regrets” what it called the Danes’ “deeply concerning response” to the global refugee problem. “The proposals presented by the government are evidently aimed at conveying a message to make it ‘less attractive’ to seek asylum in Denmark, and is a deeply concerning response to humanitarian needs,” the UN refugee agency said in a January 6 statement. “The signal Denmark’s introduction of restrictions sends to other countries in the world […] is worrisome and could fuel fear, xenophobia and similar restrictions that would reduce – rather than expand – the asylum space globally and put refugees in need at life-threatening risks,” the UNHCR’s report read.